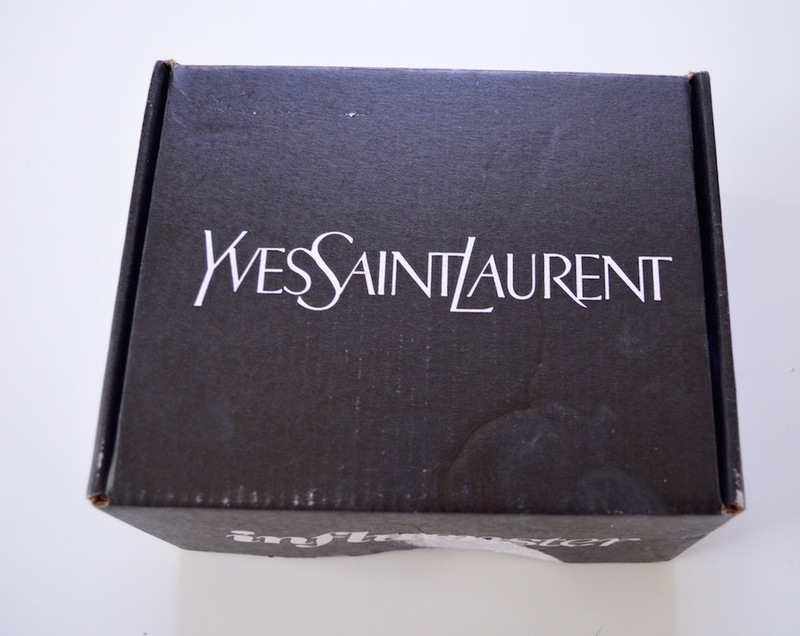 I about peed my pants when I found out I was selected to try the latest makeup line from Yves Saint Laurent! For those that don’t know, the brand is pretty pricey and is offered from the world-famous luxury brand. 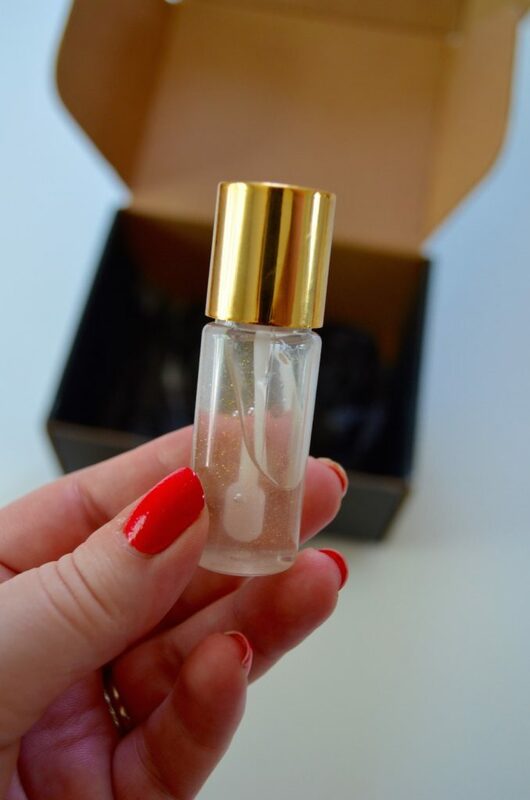 Personally, I’ve tried a handful of samples from YSL, but I’ve never tried any full sized items. So, how did I receive this crazy nice makeup swag? Well, I’ve been a member of Influenster for about three years now. This program is online and allows different people to try new products and give feedback. Now, it helps that I have a lot of Facebook friends and have my own beauty blog. I think that’s why they send me more makeup than others. The program is completely free and I’m not paid to say anything in particular about the brands. In the past I’ve tried razors, makeup items, and even vitamins! This package is by far the highest valued item I’ve been sent and it made my day! 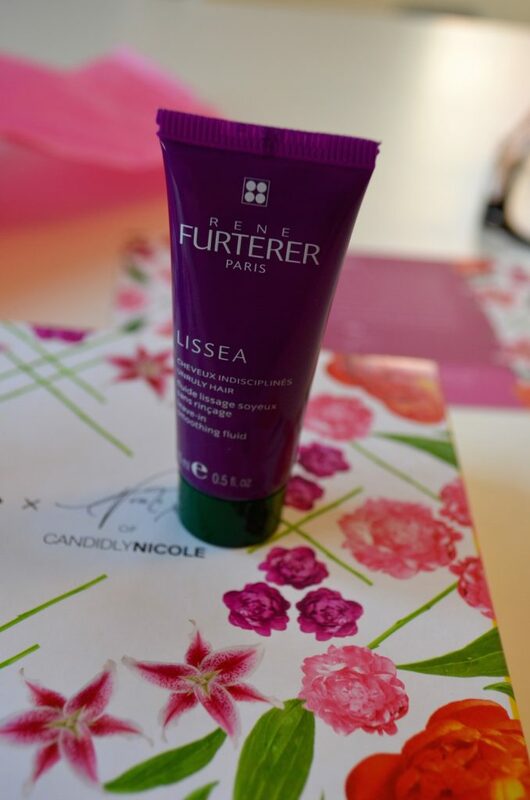 I plan on writing a post later about how to become an Influenster and what to do to get sent some of the higher value items to sample. In the meantime, if you’re curious, just click here and begin working on your profile and connecting your social media to the site. Before I received this box, I received an email with a set of questions to answer. I answered that I loved makeup and was a Very Important Beauty Insider at Sephora (I send $350+ per year there). 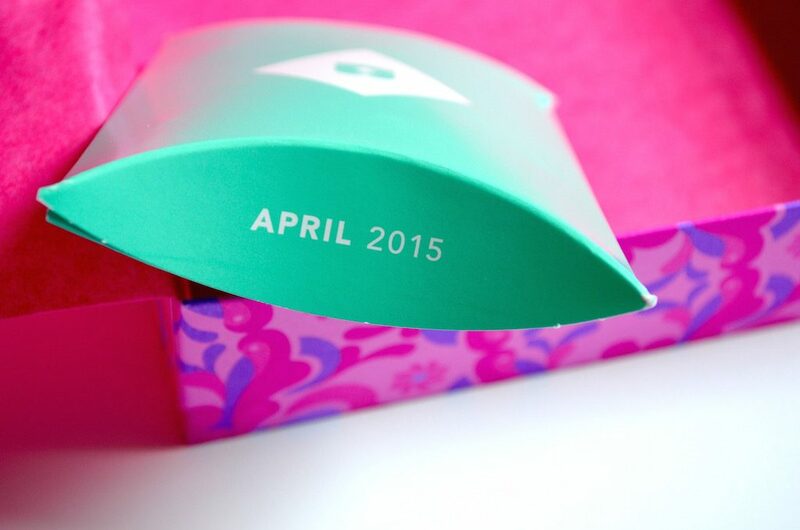 Once I finished the set of questions, I received a confirmation email that I was receiving the box. It came a few days later and looked like this. 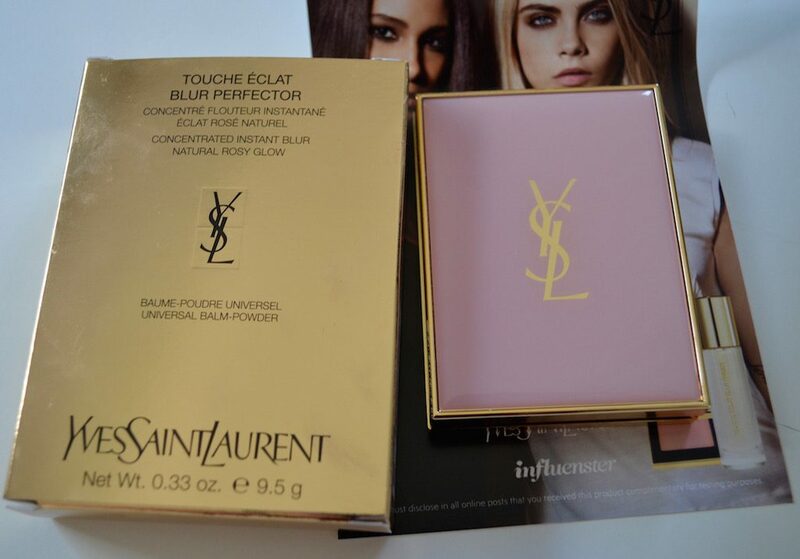 Inside the box were two different YSL products and an insert with information about the Touch Eclat Blur line. The two main products were Touche Eclat Blur Primer and the Touch Eclat Blur Perfector. When I opened the packaging I swear I had hearts in my eyes. 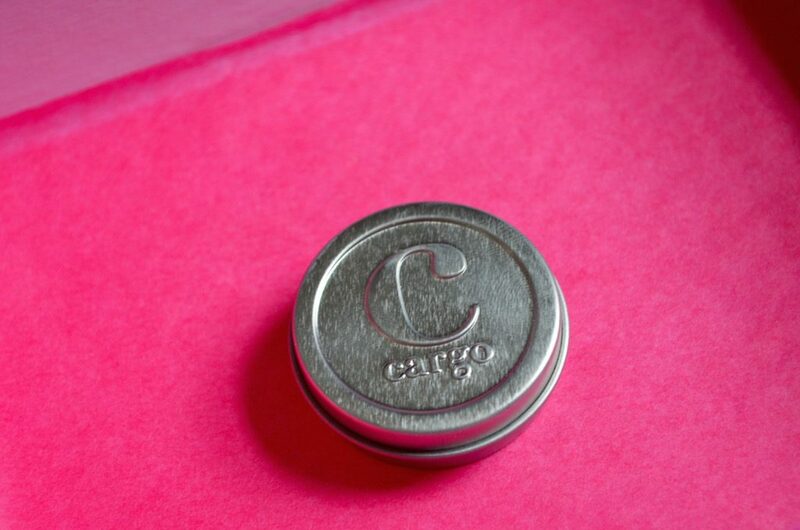 The compact is beautiful and very luxurious to hold. 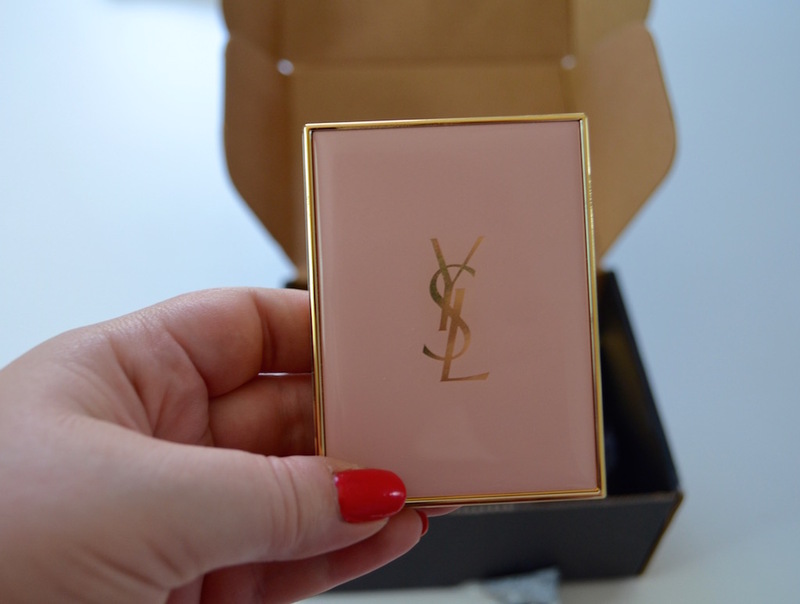 The packaging is a pale pink with the iconic YSL logo in gold. 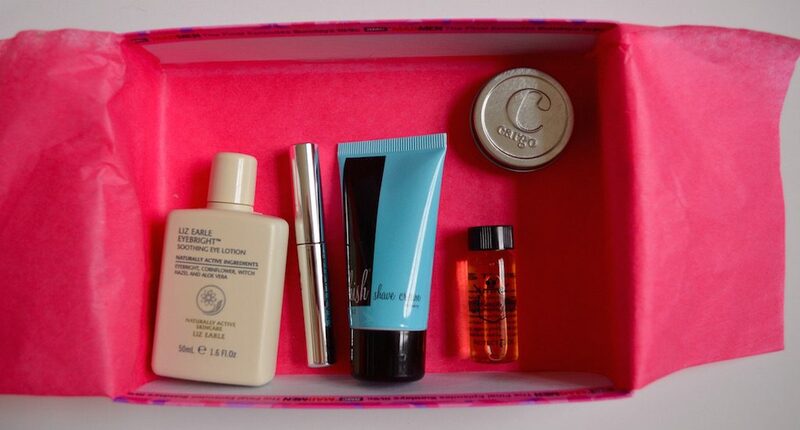 Once you open the rectangular compact, there is a mirror and then the product. So, what in the world is this pink formula supposed to do? So, what did I think? 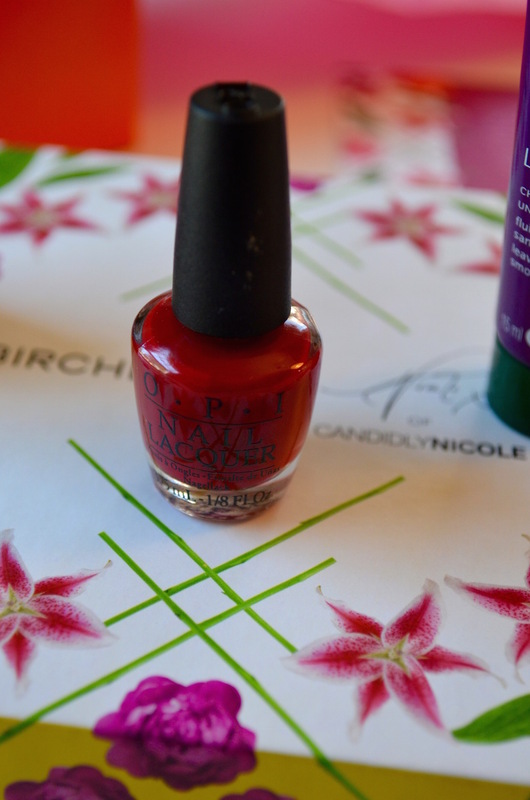 Even though the packaging was beautiful…I didn’t like it. As soon as I opened it, I applied it on top of my Kat Von D Lock It Tattoo foundation. The formula from YSL didn’t mix well and basically made my makeup come off. 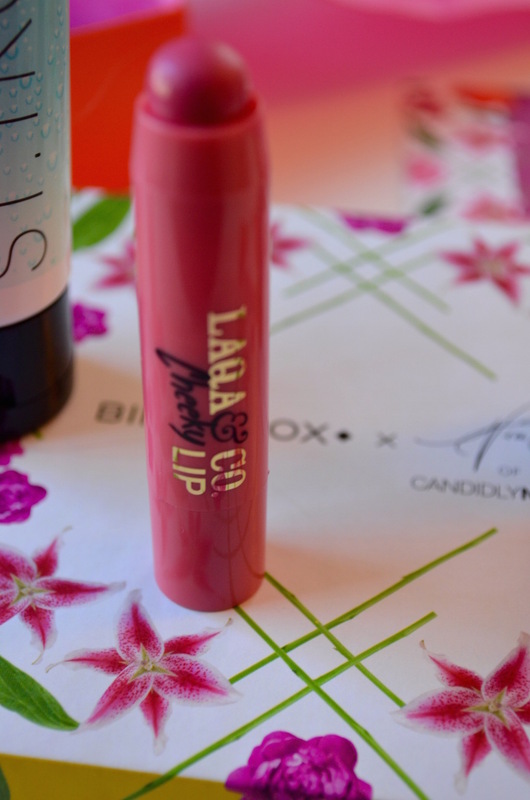 I noticed the liquid makeup separated and drew even more attention to my large pores (sigh). I thought maybe it was how it mixed with my foundation. I tried another day by wearing it alone. I didn’t notice a big difference, but my husband said my pores around my nose did seem smaller. You use a sponge to apply the cream which then turns into a powder. The formula feels great going on and seems to eliminate oil. Unfortunately, I wear liquid makeup almost everyday. This type of product doesn’t work well with my go-to foundation so I won’t have a need for it. Along with trying it all over on top of my foundation, I also used it under and it did the same thing. 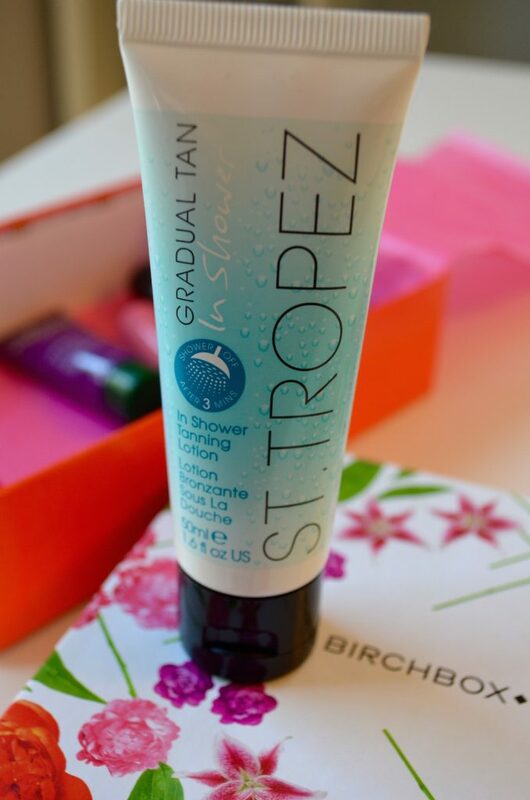 Another time I only used it near my oily t-zone and again, it didn’t deliver. It was super disappointing for such an expensive and beautiful product. On Sephora, a lot of beauty lovers are saying they’re addicted to it. Perhaps it works better with other foundations? I may try to mix it with my Clinique Almost Powder Makeup on a day when I’m not doing a full face of makeup. YSL Touch Eclat Blue Perfector cam be purchased at Sephora for $55. If you didn’t get the hint already, I won’t be purchasing it. I feel as if there isn’t a need for this in my day-to-day makeup routine. Boy, did this help my makeup stay put! It worked beautifully under my Kat Von D foundation (unlike the compact version) and made my skin look flawless. I even received a few compliments on my skin when wearing it. The gold flecks are interesting. I didn’t see them on my skin. I suppose they blend in? The formula is very silky. I felt like I needed a lot to cover my entire face. It absorbs quickly and helps acne stars look less noticeable. I’ve purchased Lancomes’ LA BASE PRO for $42 in the past. I would say the Yves Saint Laurent Touche Eclat Blur Primer works a tad bit better. It seemed to keep my makeup on just as long and go on just as smooth. 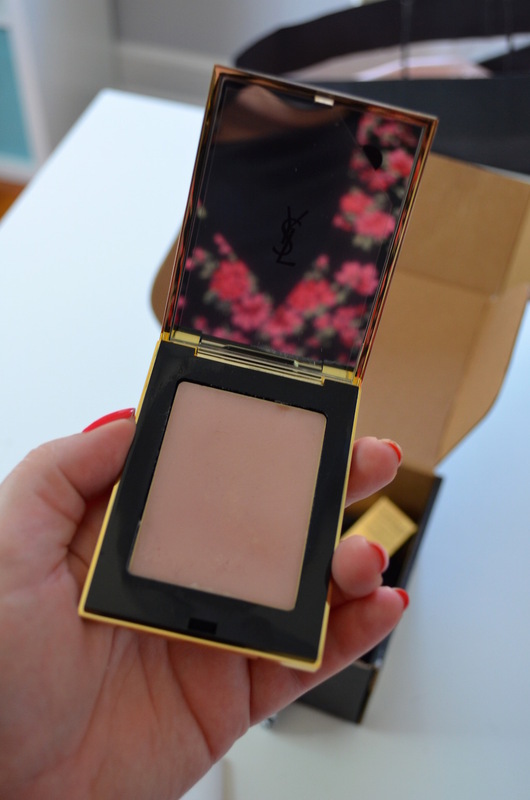 The difference is that the YSL product helped my skin have a healthy glow. The Lancome primer didn’t. I received both products FREE through Influenster for testing purposes. My opinions are, of course, my own. If I like something, I’ll let you know. If I think it’s a waste of a dollar…I’ll let you know that, too. 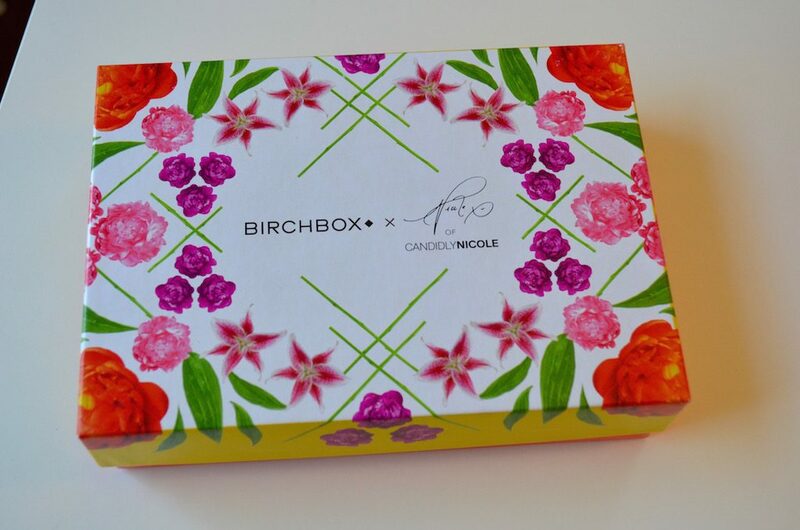 After being an Ipsy member for over three years, I decided to give Birchbox a try. 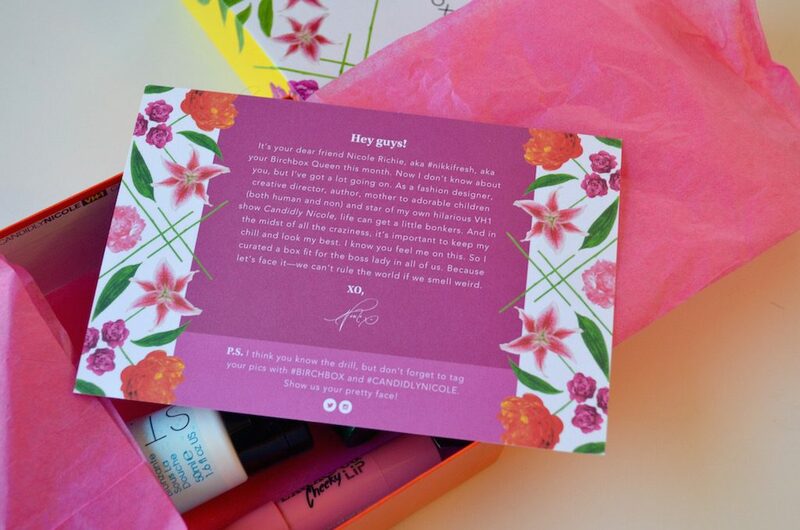 I had received their emails for a long time and was extremely jealous of all the great products other gals were posting. 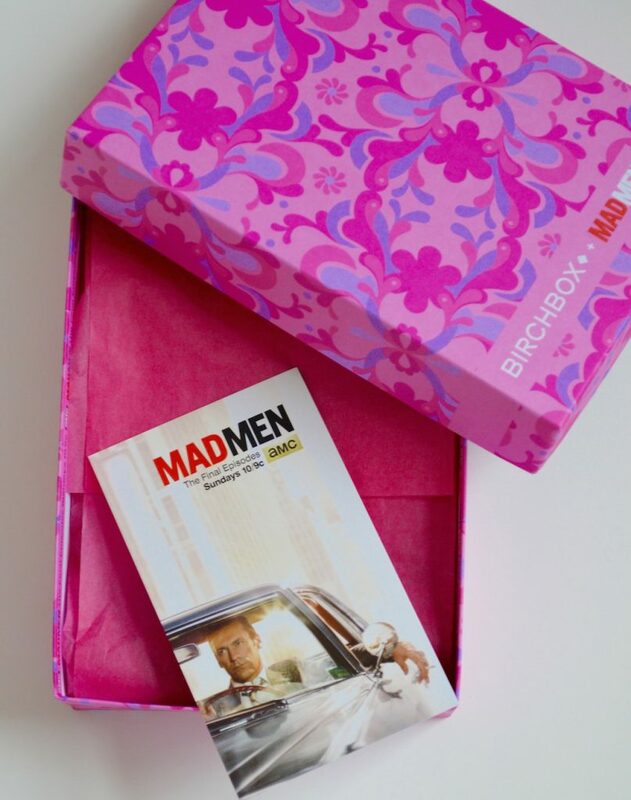 Without hesitation, I signed up for the Mad Men Box this past April (a little behind, I know). 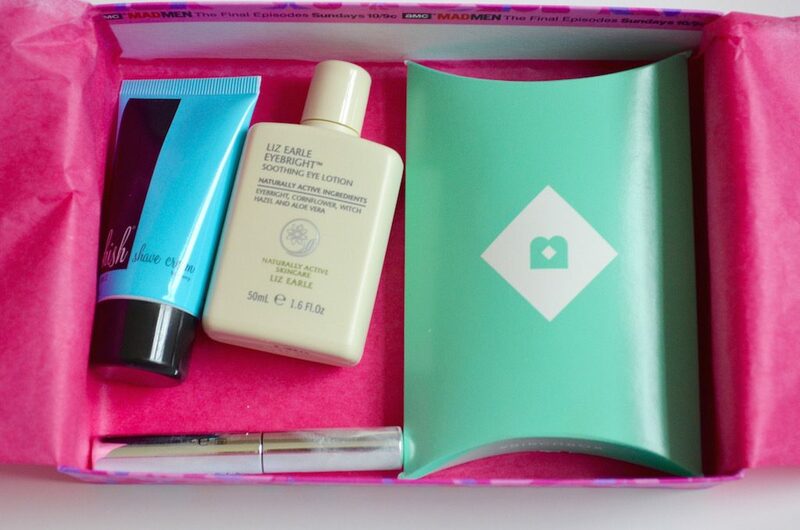 Birchbox is the first beauty subscription service and their boxes are only $10 a month including shipping and handling. I’ve noticed a lot of their products are similar to Ipsy’s but there are more skin care items. My first box was remarkable. Here’s what I received! 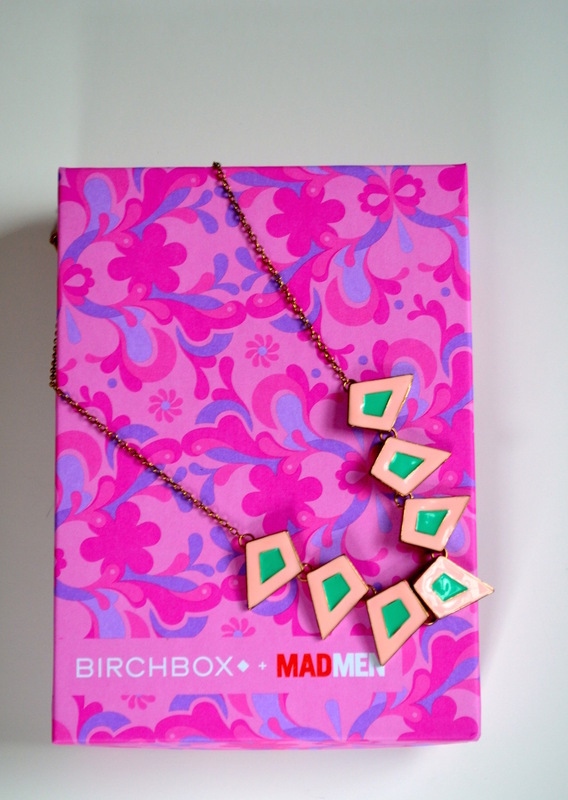 The box was inspired by Mad Men, the addictive TV show on AMC. The pink retro style of the box was adorable and there was a promo insert. Each item included was something that the women of Mad Men may have used. 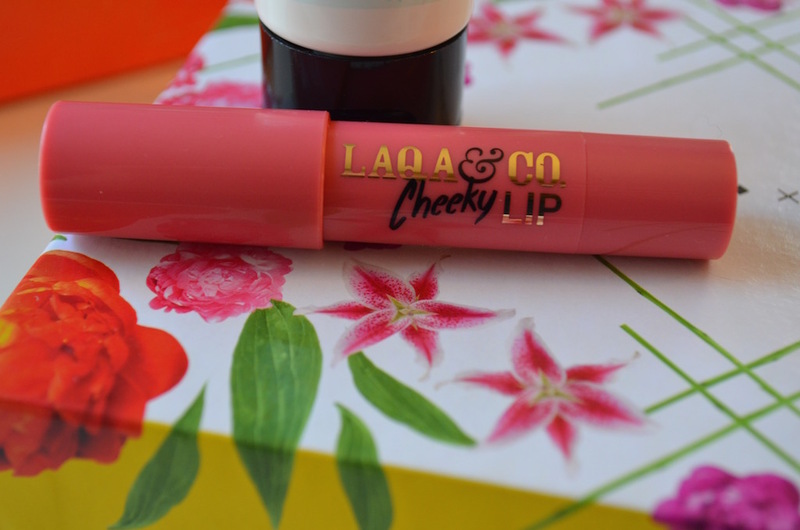 This product was one of the items that I was most excited to try. I’ve heard a lot about Anastasia Beverly Hills, but haven’t tried any of the their products. This clear gel works like a hair spray and holds your brows in place. The brush looks like a mascara wand and you brush it through your brows. I really liked the formula but the smell was a little strong. For the price, I think I might be able to find a cheaper alternative. Full size is $22. The sample was probably worth about $8. 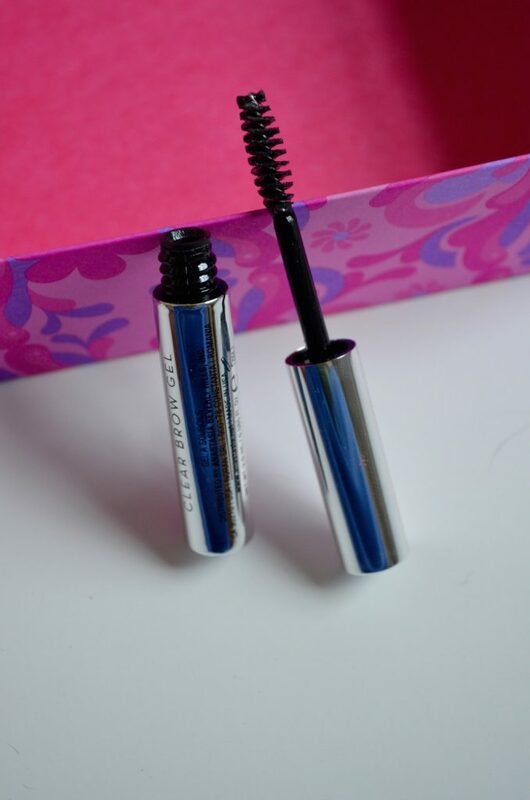 I liked that it works on any colored brow and that it doesn’t budge once it’s put in place. Although it’s not a staple, I’ve been using it about once every week or so. If you want your hair to stay in place and smell like vanilla cupcakes, buy this product by the gallons! Beauty Protector Protect & Oil was a product I needed in my life that I didn’t even know about. 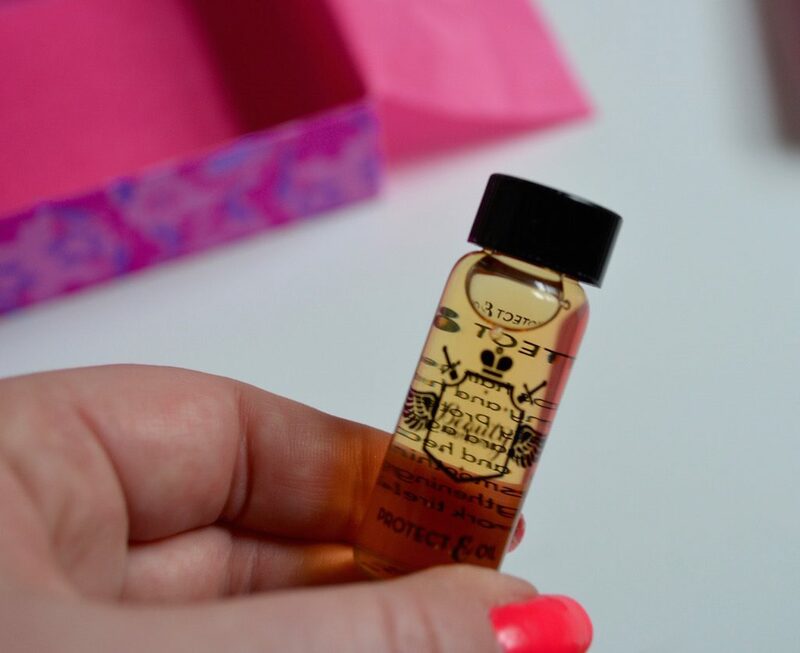 This tiny vial has lasted me a long time and helps smooth out my frizzy hair. It isn’t greasy feeling and has a delicious smell. Of all the items I’ve sampled from Birchbox (since April) this is one of my very favorite and I plan on buying the full sized option. Beauty Protector also sells other hair products I’d like to try in the future. A full size is about $26, so I’d guess this little sample is worth about $4. 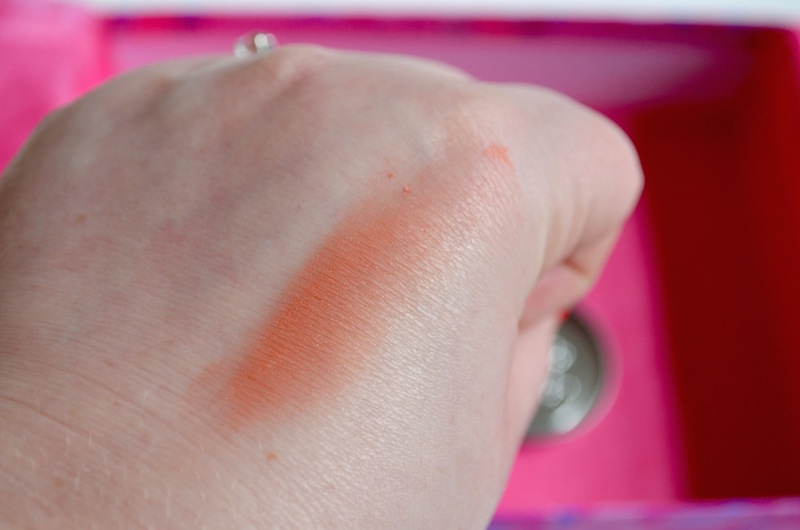 Why anyone needs a blush that is water-resistant is beyond me. I don’t wear makeup when I’m planning on swimming and when I do, it’s not blush! That being said, this product is really nice. I like the color, which is called Los Cabos. It’s a soft tangerine. You can apply if using your fingers or using a blush brush. I like the little tin it comes in. 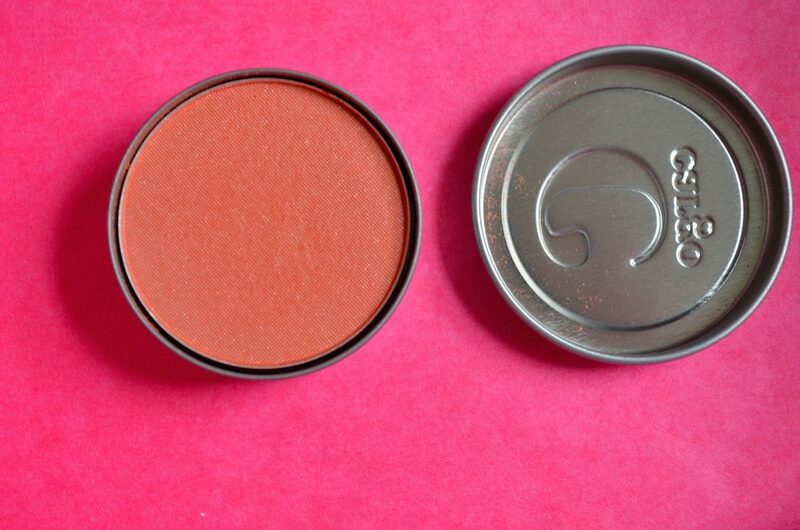 The size is perfect because I usually don’t use too much blush to begin with. There’s a subtle shimmer that’s also great for the summer. Full sized is $26. This sample is worth about $12. You can find other shades on Amazon here. I don’t have issues with under eye circles. 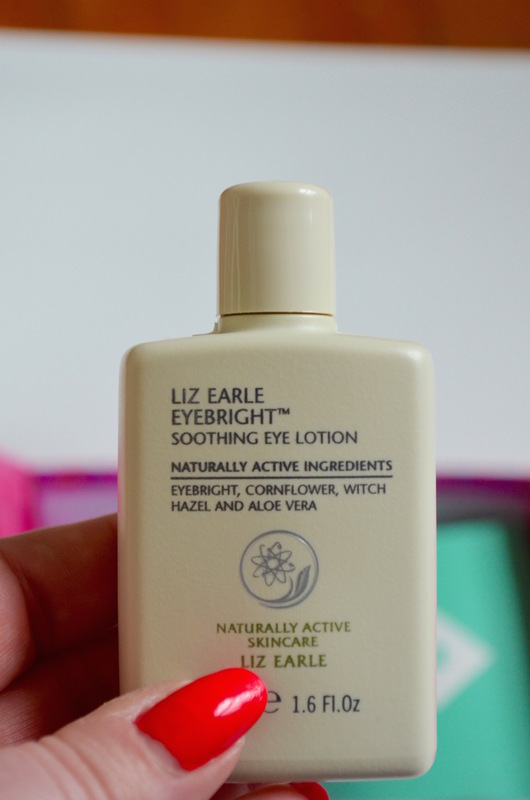 I thought I wouldn’t ever use this product…until I began using it to take my eye makeup off! The formula doesn’t irritate my eyes and helps me get all the black eyeliner off my lids. The smell is fresh and leaves my skin with a tight feeling. I read the directions and used it a few times as a treatment. You soak some cotton balls and lay with them over your eyes for a few minutes. My eyes looked so fresh and bright once I took the time to let the product do its magic. I don’t think this is a “must-have” item, but it helps a lot and I’m excited to have it in my hoard collection. Full price $25. Sample about $8-10. This product was kinda silly. It’s a $20 shaving cream. The sample was ok and I used it up but I wouldn’t spend $20 on shaving cream. The smell was yummy. Blueberry I think. BUT…$20?! C’mon. It’s supposed to help sensitive skin and keep your skin hydrated. I didn’t notice a difference between this and off brand Skintimate at Walmart. The sample size is valued at about $5 maybe? I’m so happy to be a Birchbox member. It’s been about five months since I began my membership and I think it’s been worth it. I’m behind on my reviews but stay with me. There are more to come! This first box was a big win. My favorite item ended up being the hair oil. I least liked the shaving cream. Disclosure: I pay for my own Birchbox & Ipsy subscriptions. There are referral links in this post and also Amazon referrals. I receive points if you sign up using my link. Thanks!